For women in their twenties, Botox has always been a part of the ambient cultural landscape. You might remember the 90’s when people were just starting to talk about this weird new surgical intervention for wrinkles – and get it done on themselves! The idea of needles and the hardening of areas beneath the skin might have seemed a little scary. But now that you’re an adult, you probably know a lot of people who are getting Botox injections. If that seems strange for someone your age, here’s an argument for considering this skin treatment path. It’s More Effective When You’re Young. 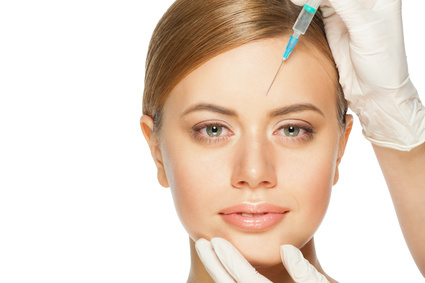 Botox is just one of many skin treatments that a skilled dermatologist can work on your skin. It may not be the solution for you. If you have major sun damage from years spent at the beach, you may want to address some other, more fundamental, problems before worrying about wrinkles. But if Botox is the best solution for you, you’ll be happy to know that getting it done while you’re young will make the effects a lot more natural and lasting. Botox works best as a prevention for wrinkles, not as a cure. Sure, it’ll work to do the latter, but it’s a much better way of locking in the best features of youth, instead of trying to replicate them later in life. Talk to your dermatologist about what you can expect. It’s Localized. One of the great things about Botox, available through trusted sources like www.therapieclinic.co.uk, is that these are small procedures. In the old days of plastic surgery, people would go “under the knife” to have major construction and reconstruction projects done. Botox injections aren’t like that at all. A doctor might identify one or two issues that need work during a single session. You’ll be in and out in a few minutes. Botox is the sniper approach, not the shotgun approach. It is a way of isolating specific issues, letting you see how effective they are, then coming back to decide on future corrections and improvements. It’s Affordable. For the same reason that Botox is limited, per session, to small regions of the body, it is also very affordable. The needle and laser approaches to age-reducing tissue procedures are meant to be fast and affordable. Again, you’re not focusing on huge regions of the body. The procedures are not time-consuming, meaning that you don’t have to pay much money for any one session. Come back for more when you want it or can afford it. Gradually, you’ll build the improvements that you want, and the transitions will occur so gradually that no one will notice a sudden change (only that you look amazing). Botox is a great solution for people in their twenties and thirties. You may not have considered it before, but if you are looking for a way to preserve aspects of your youthful face and body, it is one of the most focused and effective solutions available in the market today. Talk to your dermatologist about how to do it.